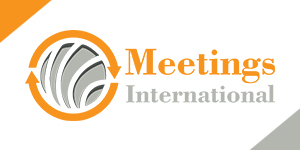 Genetics and Molecular Biology Meetingshttps://www.meetingsint.com/genetics-molecular-biology-conferences organized by Meetings International provides a unique platform for global eminent molecular biologists, biochemists, biotechnologists, biologists to share their research advancements and find solutions for the upcoming challenges in their respective areas. Genetics is the study of genes, genetic variation, and heredity in living organisms. Generally genetics as a branch of biology, but it frequently intersects with many of the life sciences groups and is strongly linked with the study of information systems. Molecular biology is the scientific branch of biological activity at the molecular level. A key area of molecular biology is understanding how various cellular systems interact with DNA, RNA and protein synthesis functions. Molecular biology focuses on the molecular mechanisms of replication, transcription, translation, and cellular function. In the past, molecular biology focused on the production of food and medicine. It also tries to solve environmental problems. In the 19th century, due to the high demand for various chemicals such as ethanol, butanol, glycerol, acetone and so on, the industry related to fermentation technology is developing rapidly. The advancement in fermentation process by its interaction with chemicals. Engineering has given rise to a new area—the bioprocess technology. Large-scale production of proteins and enzymes can be carried out by applying bioprocess technology in fermentation. Applying the principles of biology, chemistry, and engineering sciences, processes are developed to create large quantities of chemicals, antibiotics, proteins, and enzymes in an economical manner. Bioprocess technology includes media and buffer preparation, upstream processing and downstream Processing. This has led to the division of Molecular Biology into different areas such as agricultural Molecular Biology, medical or pharmaceutical Molecular Biology, industrial Molecular Biology, and environmental Molecular Biology. 2nd World Congress on Cell Science and Molecular Biology, May 21-22, 2018, Spain.